CARRICK-0N SHANNON claims to be the oldest angling holiday centres in Ireland and to this day offers a great range of waters to suit every style of fishing. It is also one of the liveliest places to stay with dozens of pubs, cafes, restaurants and tons of character. The River Shannon runs through the heart of the town carrying great shoals of bream, roach and hybrids. Anglers often fish the town waters but during the holiday season it’s wiser to take the 10 minute drive to the famous Mudflats where there are 40 fishing stands giving access to deep water. It can be a brilliant spot but there are countless waters from venues like Battle Bridge where roach are now resident throughout the year and a joy to catch on a stick float. 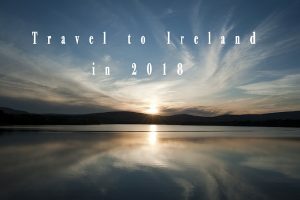 A few miles from there is the fish-rich Lough Allen, or you can try Lough Bran where there seems to have been a roach revival, then potter perhaps potter along to Lough Scur. And if you fancy trying your hand at catching big tench, Cloonahee Lake is certainly on the cards to produce fish of 6lb-plus while floatfishing with little more than an underhand cast from some of the best fishing platforms in Ireland. Make the most of your angling holiday by staying at Aisleigh House – just a mile from the heart of the town – or the Bush Hotel smack-bang in the middle of town. Sean and Charlotte Fearon (Aiseligh House) have been looking after anglers for a very long time and are certainly know the area and fishing venues inside out. Apart from providing bed and breakfast, they also have self-catering accommodation. Stop an Irishman anywhere in the world, mention Leitrim, and I’ll bet a pound to a penny he says; “Lovely Leitrim”. 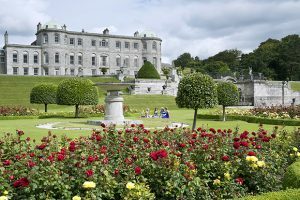 Apart from being a leading angling holiday destination, it is Ireland’s least populated county with a boast that it doesn’t have a single set of traffic lights! A short drive in any direction brings a mixture of small and vast lakes into play with a chance to catch lots of bream, roach and hybrids. CARRIGALLEN is central some of Ireland’s finest fishing. 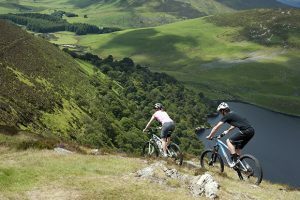 There are two very good guesthouses – Allendale and Greenville House – plus the Kilbrackan Arms, one of Ireland’s best known pubs with accommodation. In-the-know pleasure anglers have been going there for more than 50 years and in recent times Carrigallen has become a base for match anglers attending some of the major festivals and the Carrigallen Festival itself, a popular event taking place from September 30-4 October on local lakes. For more details contact Ann McGovern on 00353 49 4339938. Roger Lightbown, a retired property developer from Bolton, loved the region so much that he bought a house here in 1989. He fishes with the local club twice a week all year round but from April until October he enters every festival possible. “Carrigallen has a rich vein of great lakes that have been developed to provide access road, car parks and some have terrific fishing stands”, Roger pointed out. “It is a pleasure angler’s dream because most of the waters are never match-fished and are therefore always available to people on holiday. “Town Lake is a good example with its excellent fishing stands and car park, which means a very short walk, yet despite it producing lots of quality tench and several bream up to 11lb, I never bother with the place because my choice to practice on a match water. But I hear anglers chatting in the pub during the evening and they love being able to fish in comfort after a short walk; and there’s nothing wrong with that. 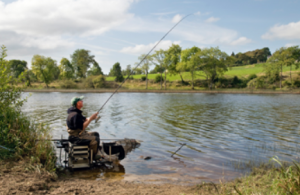 “In fact the best access in the whole of Ireland must be the road driven into Rockfield Lake by the fisheries board and the bream and roach fishing there is outstanding. Rockfield is a popular winter venue with local anglers because of the shelter and they can catch fish on a three metre whip or bream on a feeder at 40 metres. It is possible to park behind something like 40 swims on Glasshouse Lake; nobody has to walk more than 50 metres on Gulladoo or nearby Derreskitt”. 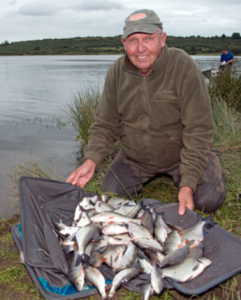 Asked to nominate the best all-round Carrigallen fishery for anglers arriving in Ireland for the first time, Roger chose Gulladoo Lake and explained why. Look, there is nothing clever about catching fish in Ireland, but getting the basics right is essential. Time and again I’ve read about the need for pre-baiting to catch bream and while that is good advice for anyone intent on trying to fill their net, most of the anglers I stumble across on the bank, simply want to catch a few fish and are generally happy with plenty of bites and hopefully 30 to 40lb. Gulladoo can provide that sort of fishing and I’ll tell you how. The lake is split into two sections – Gulladoo Upper and Lower – and the first section, generally known as the ‘steps’ is on the right hand side of the approach road from Carrigallen to Arva road. Where to park is obvious and there are steep steps down to the lake and a path leading to more than 20 swims. Fish can be caught all along the shoreline but the first four or five to the right of the steps are most likely to produce fish, probably because they get fished most of all. Most local anglers tend to start fishing the lakes in the same way with an open-ended swimfeeder but dropping five ‘Jaffa’ balls of groundbait on a 12 metre pole line. Distance is a personal preference but I reckon 40 metres is ample to catch bream on most lakes. Interestingly in September I was out on my boat and sailing slowly and parallel with the shoreline on Gulladoo, while at the same time anglers practicing for the King of Clubs were on the bank. You’ll see lads casting 80 metres, but I located an enormous shoal of bream at half that distance in six metres of water and covering more than two pegs, but the fish were only two metres deep. After all of my time fishing on this water, I still couldn’t believe the number of fish that were in that one shoal. Just think, with a little encouragement from anyone casting into that area, the fish might have dropped down to feed and then bingo! Mind you, Gulladoo isn’t just about bream. Certainly they are likely to turn up when feeder fishing but the pole and waggler will catch a greater number of large hybrids, roach, perch, along with occasional bream and tench. Upper Gulladoo is across the small river than connects the two lakes, past the small holiday home complex, and the open far bank. The local farmer allows anglers to drive along the shoreline but please remember to close the gate and for heaven’s sake, take away all litter. This is much shallow water – only half the depth – but the very same tactics apply and it usually takes a catch of 20 kilos to win along here, so you can imagine that a days pleasure fishing could easily amount 30 kilos. The best pegs are pretty obvious and are close to the reed beds at the top of the field and around a memorial cross that you will notice along the bank. Published in Angling Times 2008 – and the fishing has improved since then!